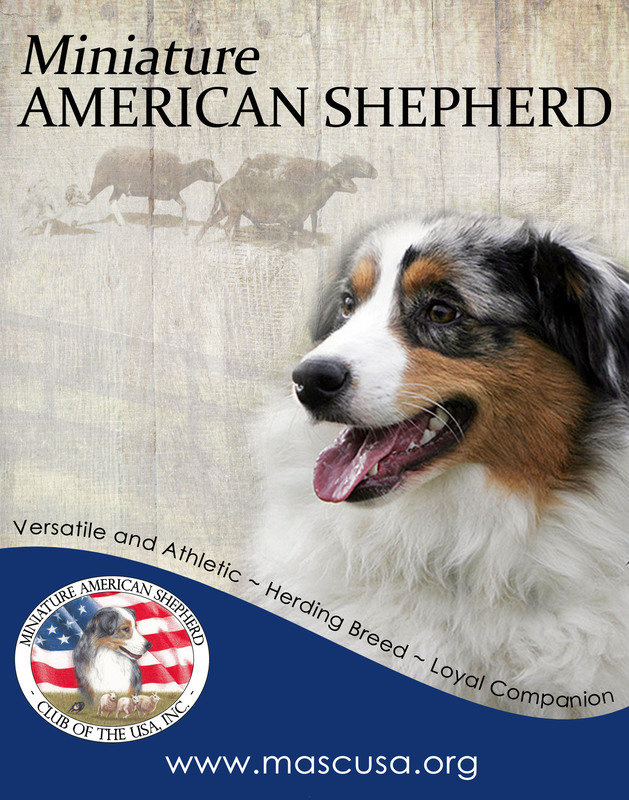 The following materials are available for download and printing for educational or public relations events. 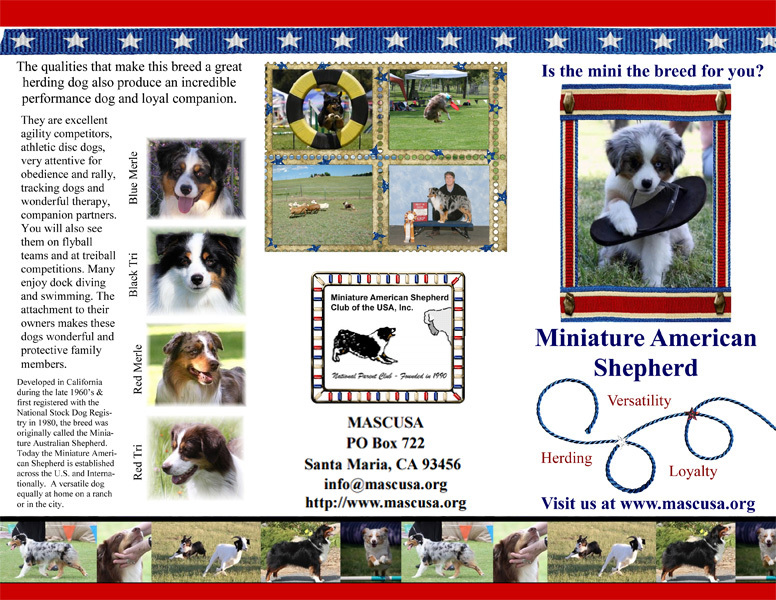 All materials are copyrighted by MASCUSA and may not be re-used or incorporated into personal websites or other materials. 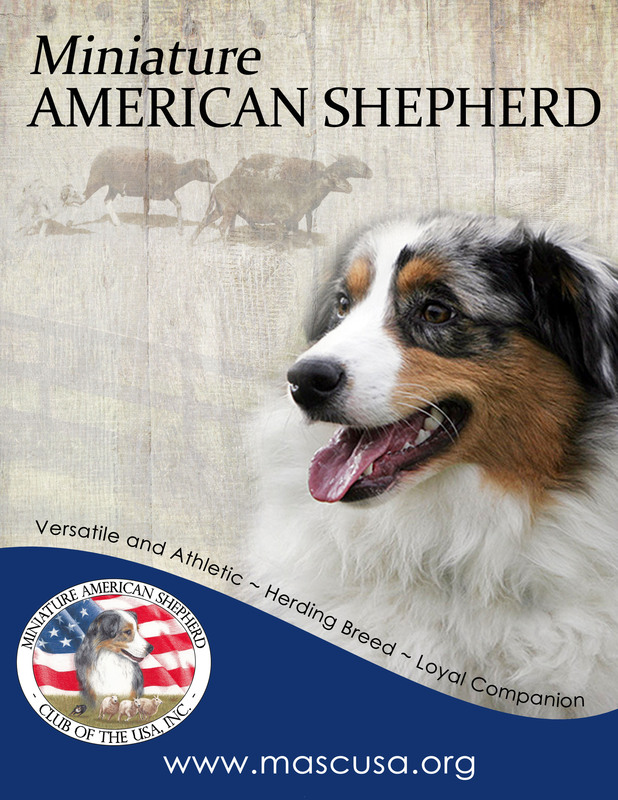 © Miniature American Shepherd Club of the USA, Inc. Site maintained by Fluorescent Design Studio.